The line above is part of the title of a spoken word poem by Black Lives Matter activist and artist Kale Nelson. The poem speaks to the injustice interwoven in the legal system when it comes to state violence against Black bodies. As the world learned in the past twenty-four hours that the officers responsible for the death of African-American Alton Sterling will not face criminal charges, the words of the poem ring even truer. 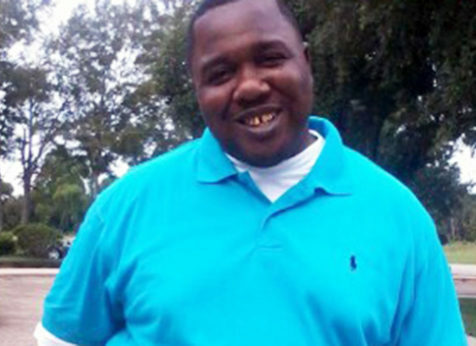 Alton Sterling’s name has been added to the ever-growing list of Black people who have died at the hands of police brutality and whose families may never experience true justice. His case is yet another example of how Black Americans are a major target of police violence, as the deaths of African Americans at the hands of law enforcement continue at an alarming rate. On Tuesday, March 27, Louisiana Attorney General Jeff Landry essentially told the world that officers Howie Lake II and Blane Salamoni were well within their rights to shoot and kill Alton Sterling. The announcement comes months after the Justice Department decided not to bring federal charges against the two white police officers. Alton Sterling was shot six times, with some of the final shots fired into his back. His fatal encounter with police officers lasted less than 90 seconds. 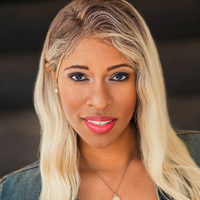 In that short period of time, as they tussled on the concrete, one of the officers would shout to Sterling, “I’m going to kill you!” The two officers would later claim that in less than 90 seconds they were unable to subdue one man without using fatal force. It would later come to light that the two officers had been previously investigated, between them, five times within their combined seven years on the job for using excessive force. Louisiana Attorney General Landry stated in a press conference that an investigation concluded “that officers Lake and Salamoni attempted to make a lawful arrest of Alton Sterling based upon probable cause… Both officers acted in a reasonable and justifiable manner in the shooting death of Mr. Sterling.” Landry went on to mention that drugs were found in Sterling’s system at the time of his death and that his office concluded, “considering this, it is reasonable that Mr. Sterling was under the influence and contributed to his non-compliance.” Sterling’s criminal history was also included in the Louisiana Justice Department Report. Officer Salamoni’s lawyer, John S. McLindon, said following the announcement, “every use of force expert that has looked at this…has concluded that it was a justified shooting. I’m not surprised at all by this announcement.” It would appear that McLindon figured, rightly so, that the legal system was on his client’s side, while many in the Black community—also not surprised by the decision—figured the legal system was never on their side to begin with. Denied justice, the family is now moving forward with pursuing a civil lawsuit against the City of Baton Rouge and the Baton Rouge Police Department. Yet, it is hard not to believe that the now all too common outcome of Alton Sterling’s case haunts the Clark family. The Louisiana Justice Department’s decision confirms again the existence of that dark force that overshadows the justice system when it comes to Black Americans in this country. That dark force is a haunting figure, a monster even, and its name is institutionalized racism. It is not supernatural, but rather man-made, and its body count steadily grows, leaving in its wake broken families and angry people wondering if justice is something that will always be out of their reach due to the color of their skin. It is the horror story that plagues the history of the United States and which is rooted in the exploitation of Black labor and bodies, with little to no value placed on their lives. 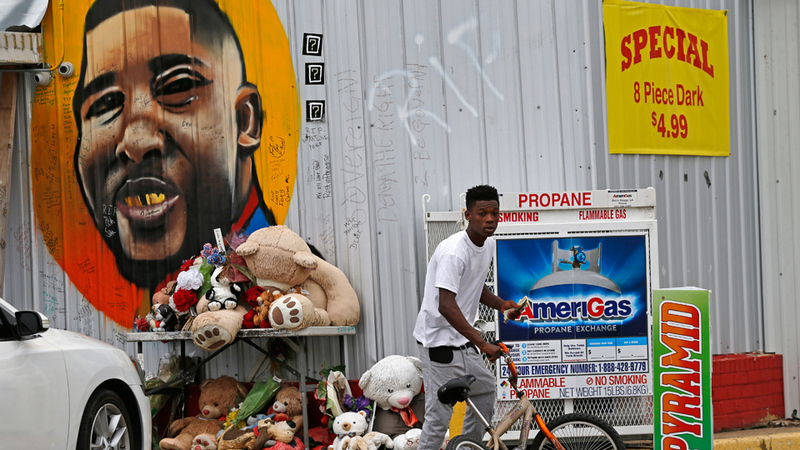 Alton Sterling’s case shows us that #BlackLivesMatter is not only a hashtag for the internet, but an ever-present battle cry of a community of people who are constantly told by the system that their lives do not matter. Repeatedly, police officers have not been brought up on criminal charges when damning evidence has shown their responsibility for the killing of a Black or brown person. If something isn’t deemed as criminal, by default, it is then labeled as legal. The decision to not prosecute the officers who killed Sterling legitimizes the notion that the killing of Black and brown people by law enforcement is within the rights of officers. How does one fight for justice when the killing of the people who look like you is constantly “justifiable” in the eyes of the law? This is a question that many Black activists continue to grapple with, and it’s an issue that will remain front and center as the fallout of this decision continues to be felt.